This was our second year collecting bikes for kids. 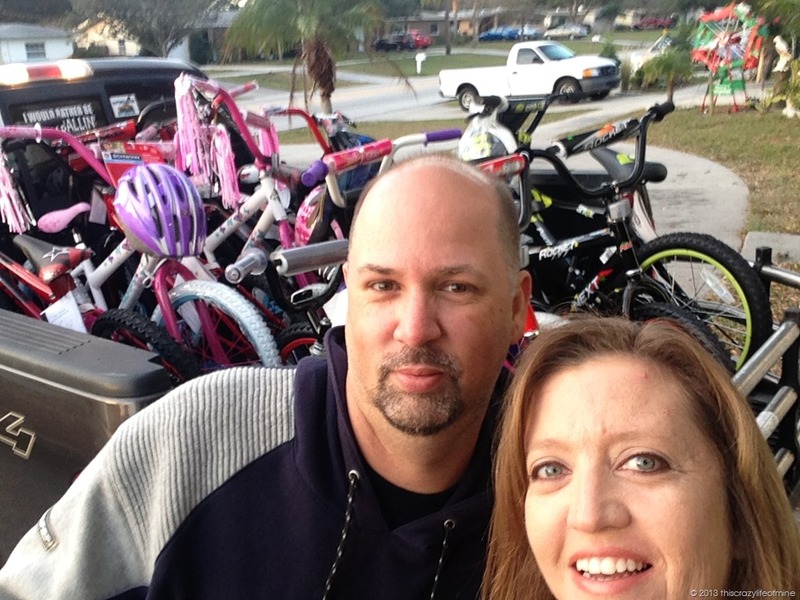 Hubby and I started Jingle Bikes For Kids last year and knew we had to do it again this year. 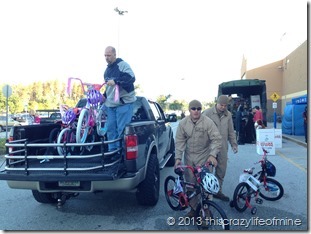 We hope to do it every year, bigger and better each time. 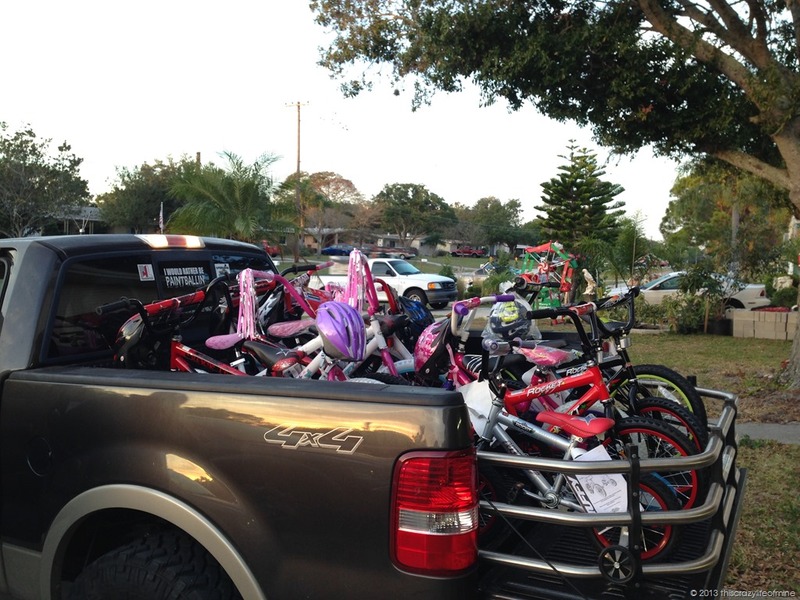 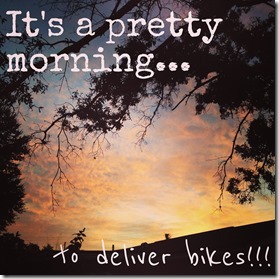 Last week, our collection of bikes grew as we picked up several and one was delivered to us. 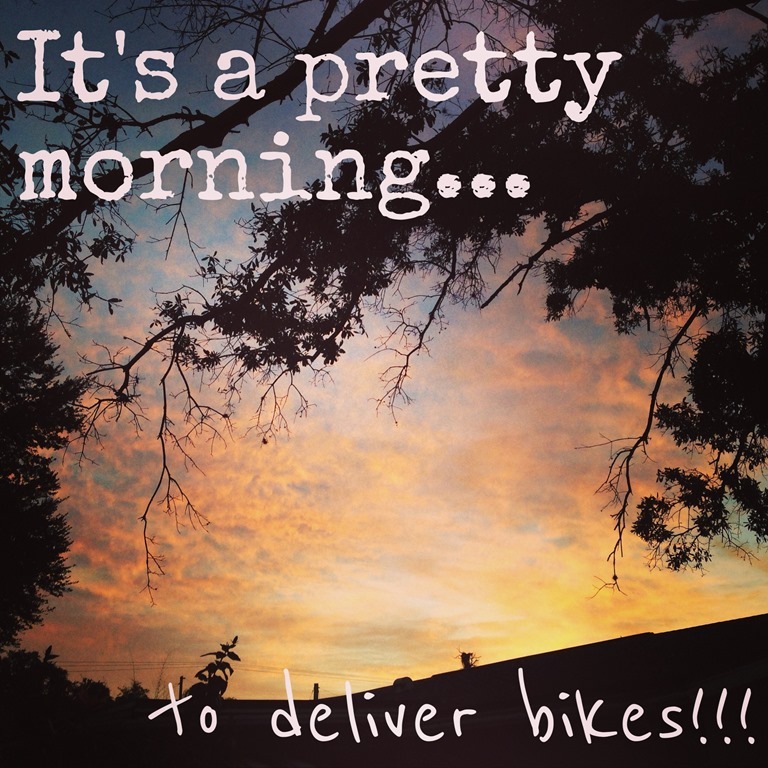 We just loved seeing all the bikes in our garage. 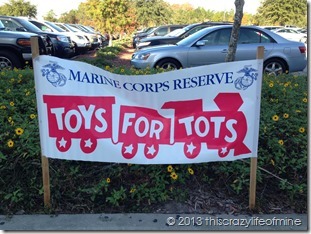 Last year, we delivered them directly to the Toys For Tots distribution center. 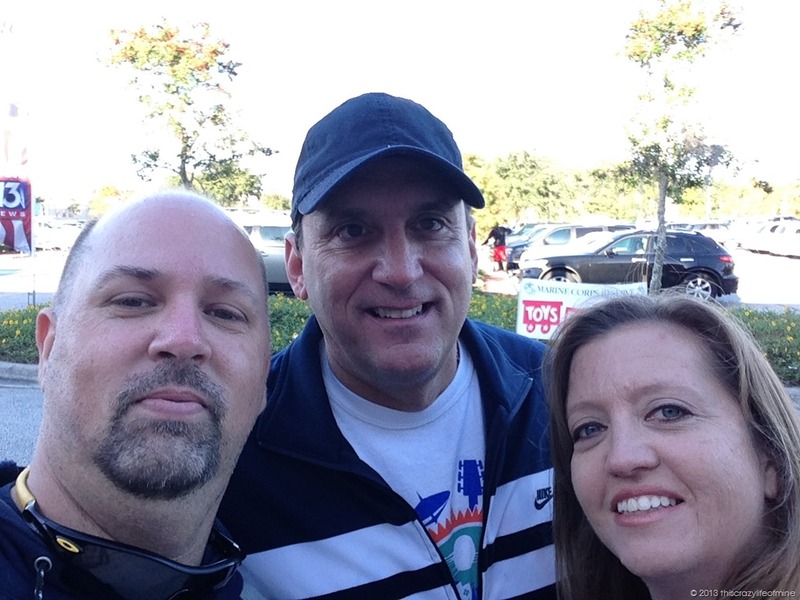 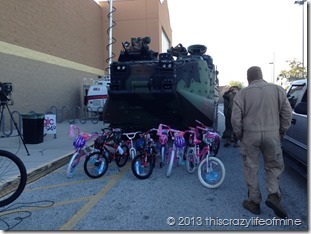 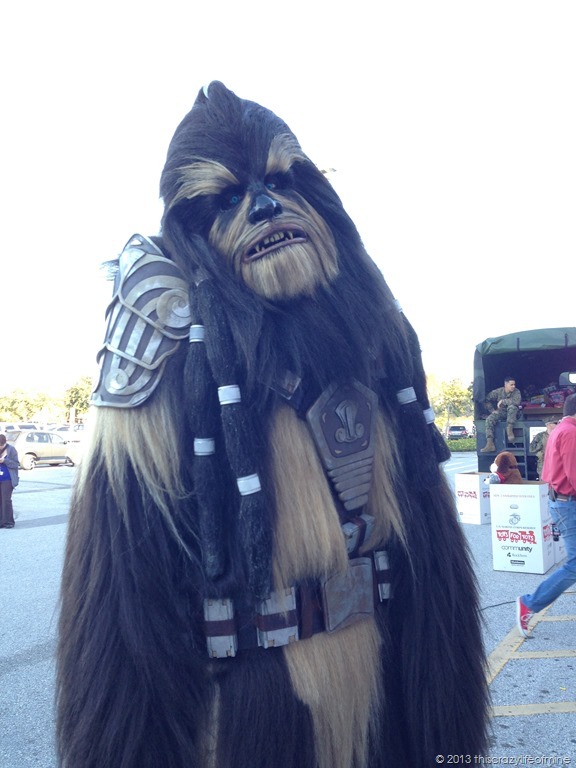 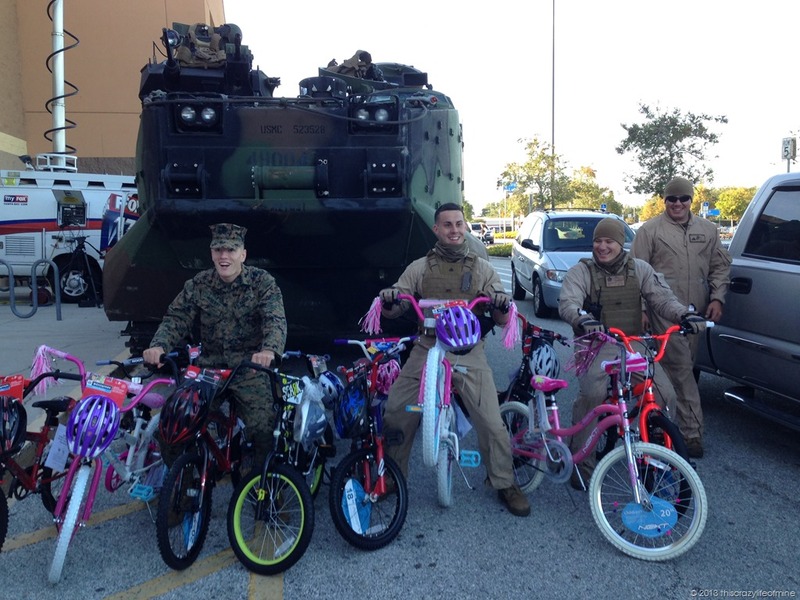 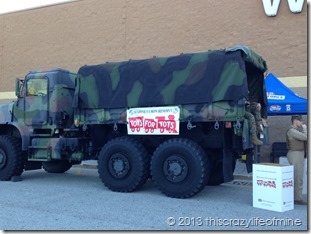 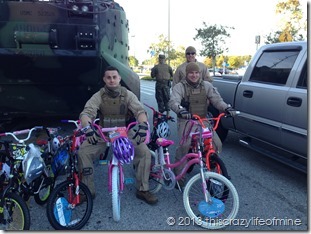 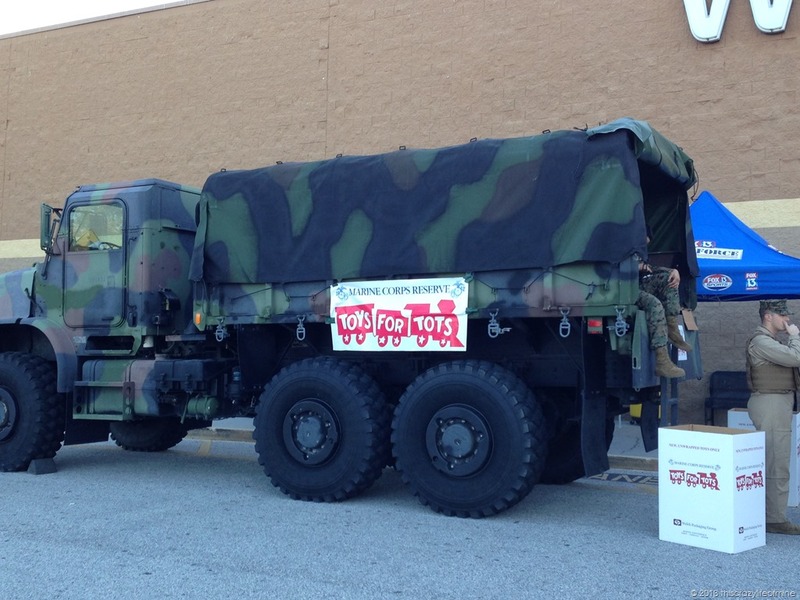 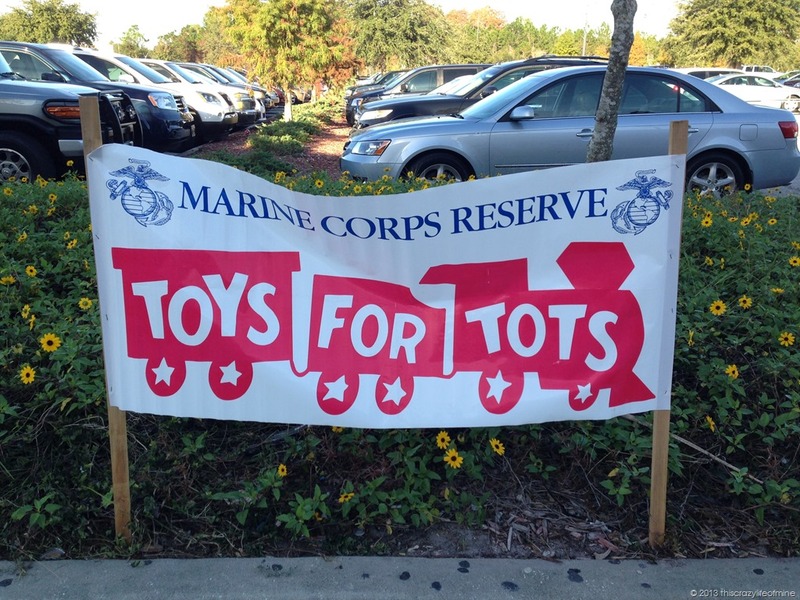 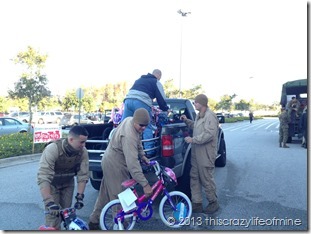 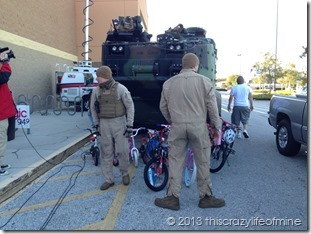 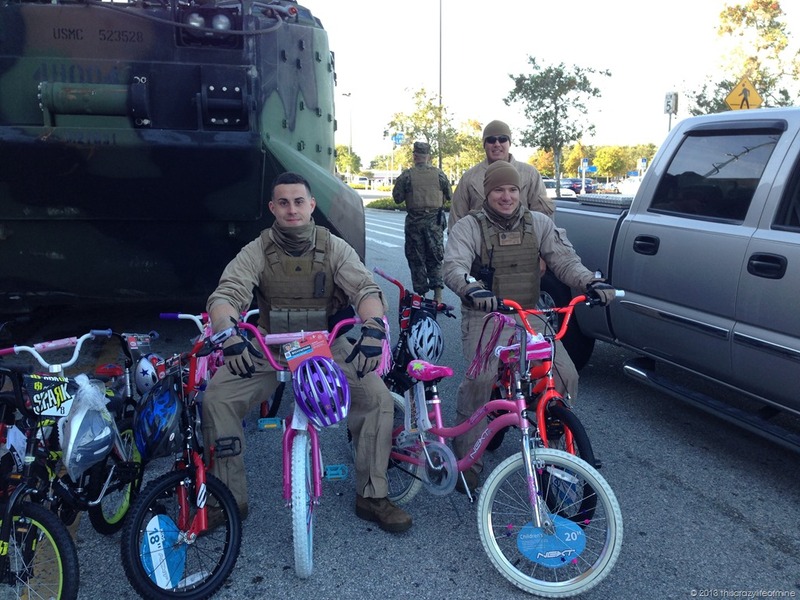 This year, we decided to deliver them to the Toys For Tots toy drive at the Walmart in Oldsmar. 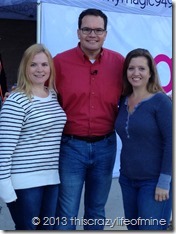 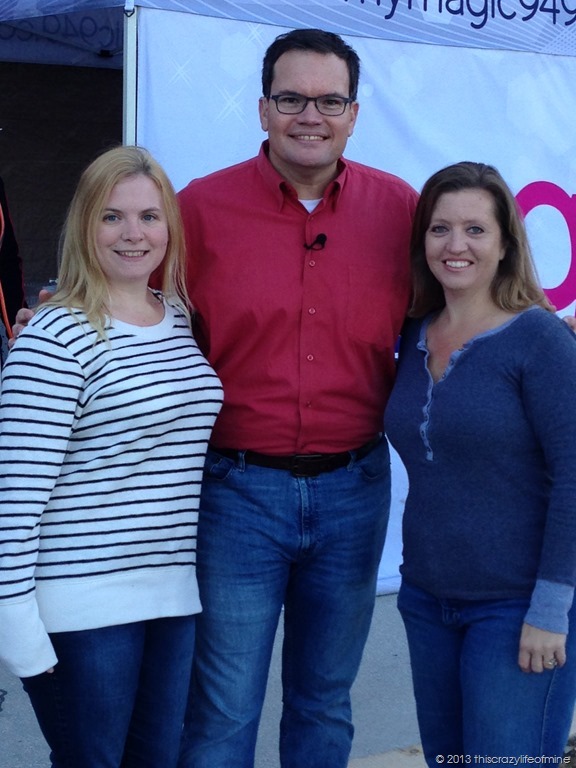 It was a beautiful, cool morning and it was such a fun time. 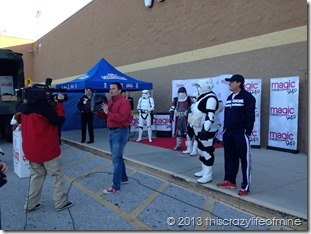 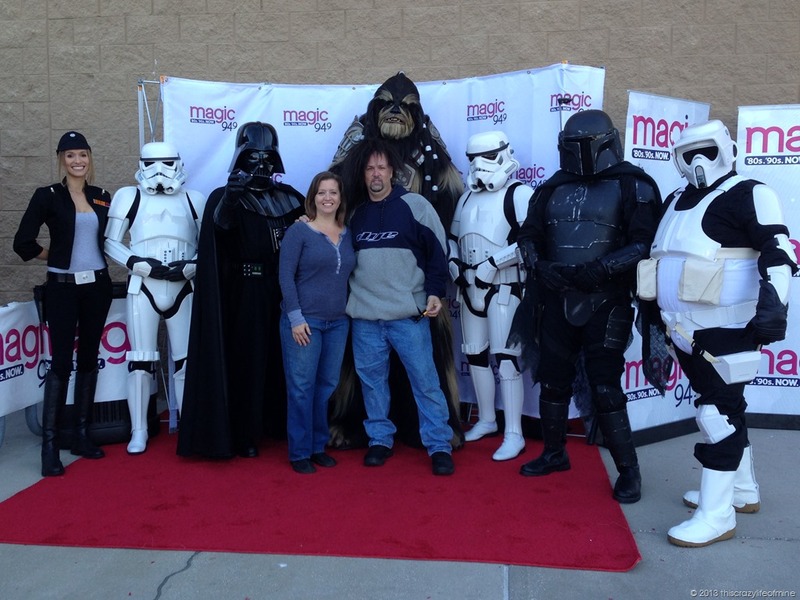 Magic 94.9 and Fox 13 were broadcasting live and the 501st Legion was there. 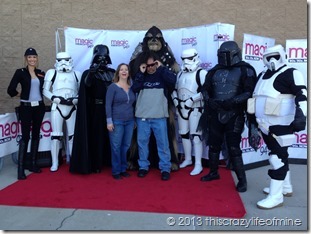 It was very festive! 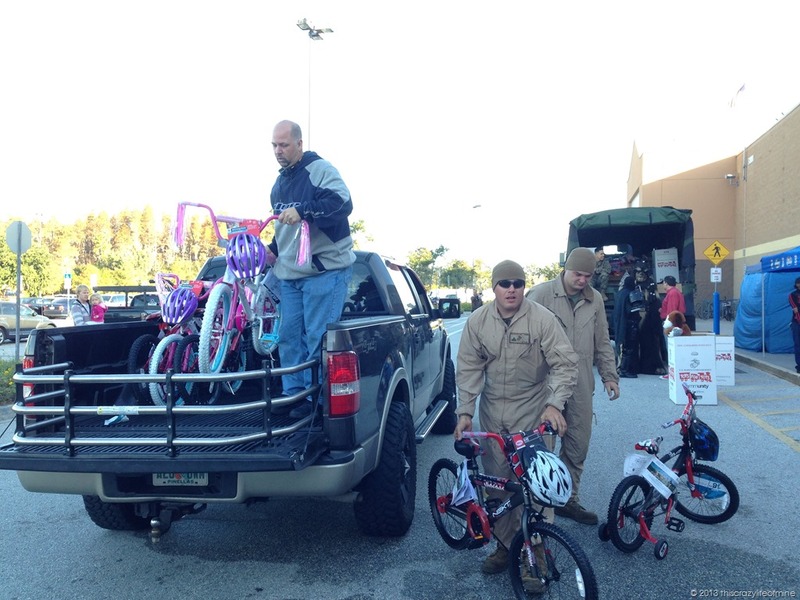 When we delivered the bikes, all I could think about is how proud my dad would be to see all those bikes lined up. 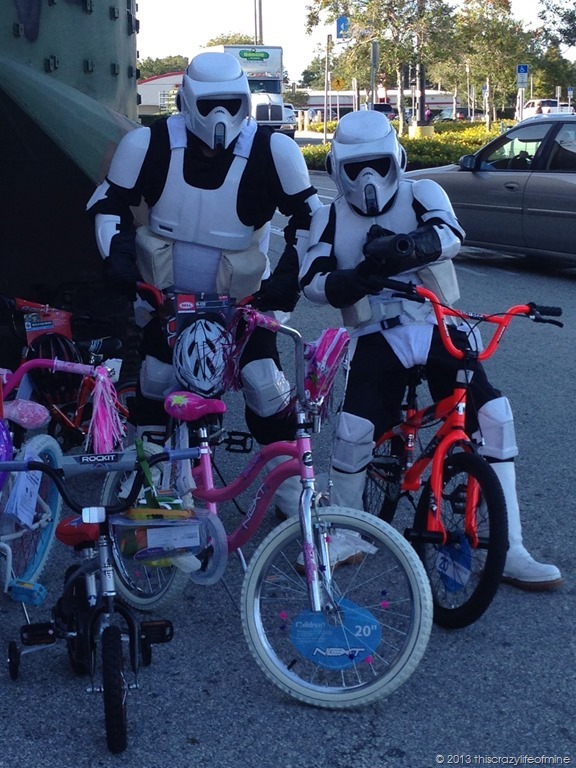 He loved nothing more than making a child happy at Christmas, and we hope to carry this on yearly to honor that wonderful Christmas spirit that my dad had. 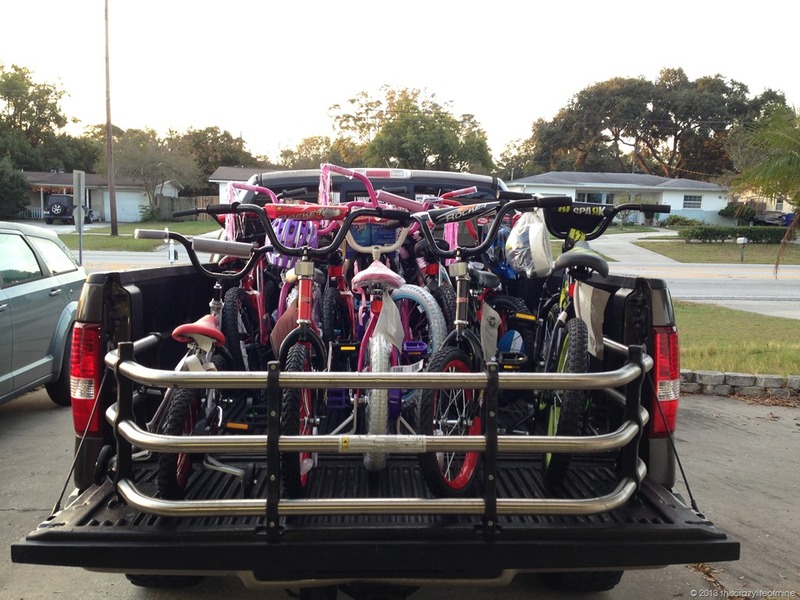 If you have any questions about Jingle Bikes For Kids, or if you would like to donate a bike in 2014, please feel free to contact me at nanci.cernak@yahoo.com or via our Facebook page. Awesome, Nanci. 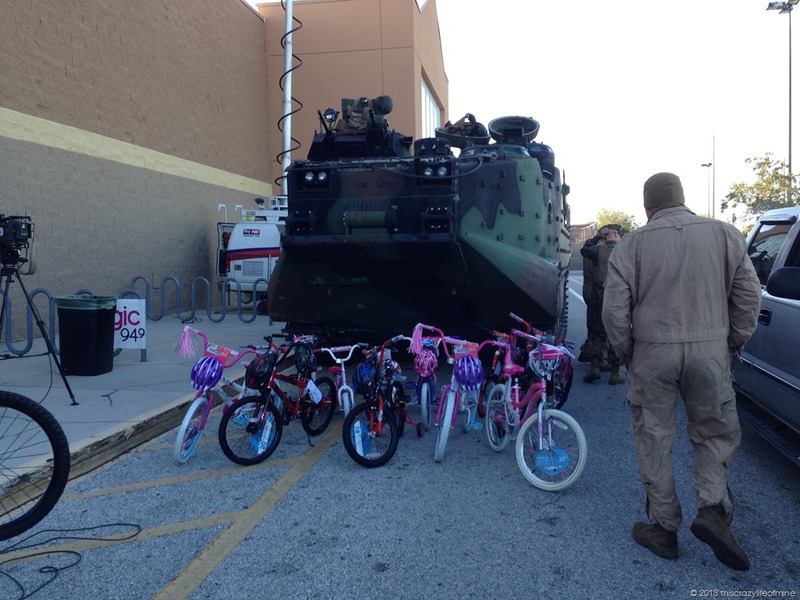 Looks like it was another success. 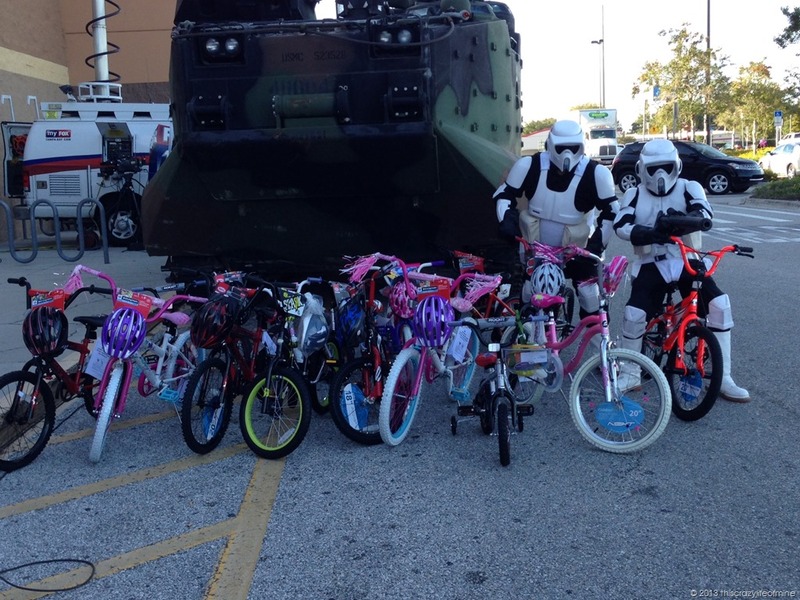 Congratulations on the success! 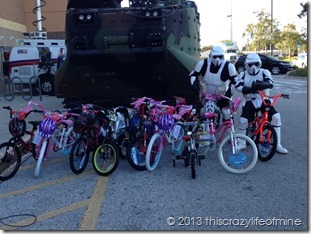 Fantastic cause and photos to go along with them. 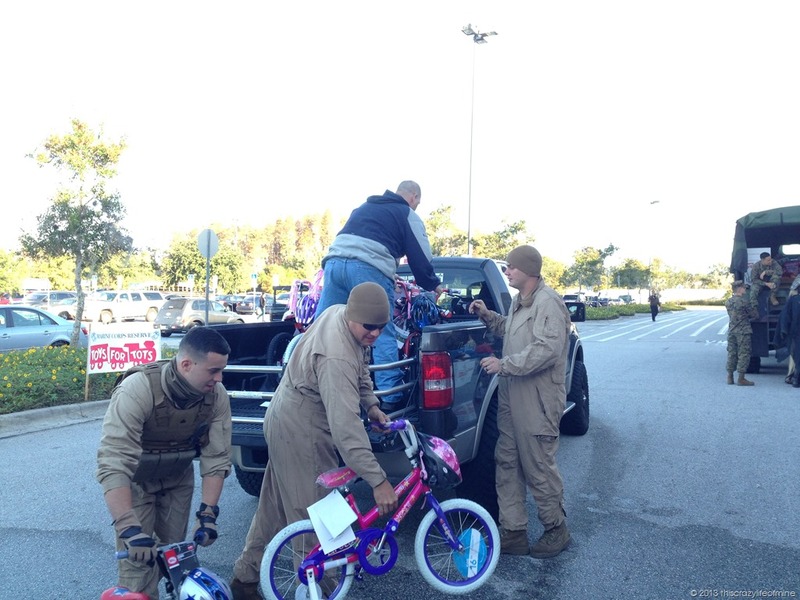 This season is all about giving and love.